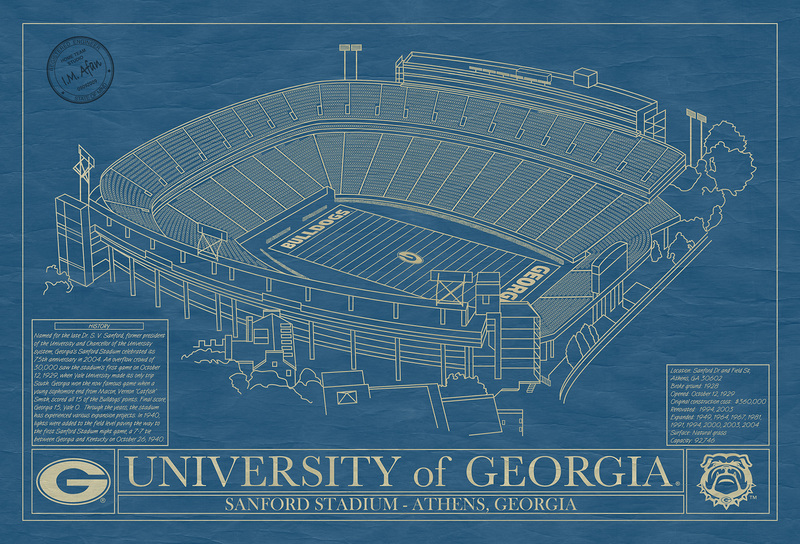 Rendered in the original format of a vintage working blueprint, this unique wall art features Sanford Stadium drawn in detail with factual information of its construction and history. 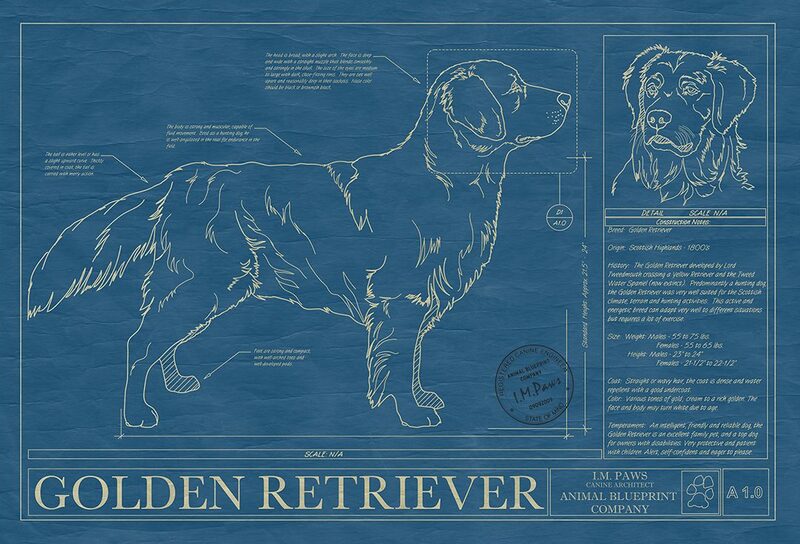 This unique blueprint is the perfect gift for all West Virginia University alumni, students, and fans. Go Bulldogs! 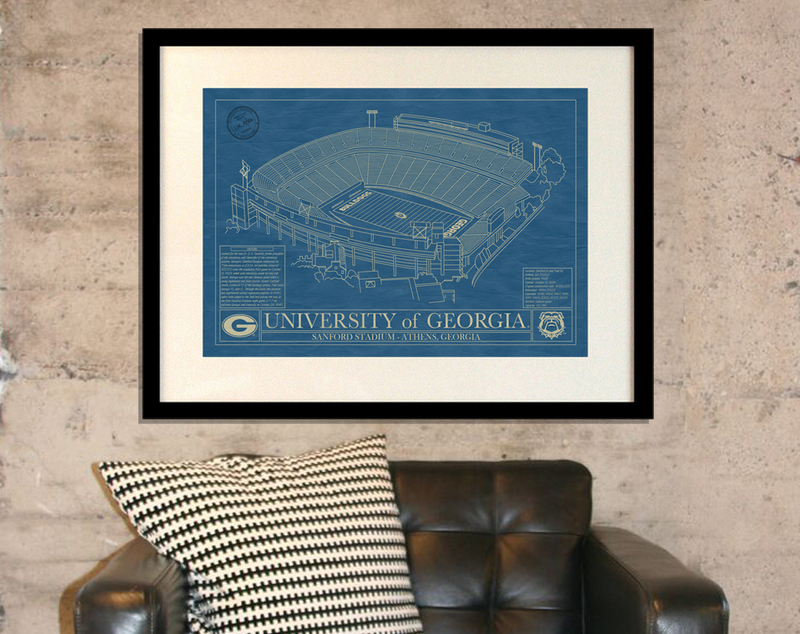 We're so sure you'll love your Stadium Blueprint that we offer a 30-day, money-back guarantee. Over 10% of EVERY purchase goes back to this university. 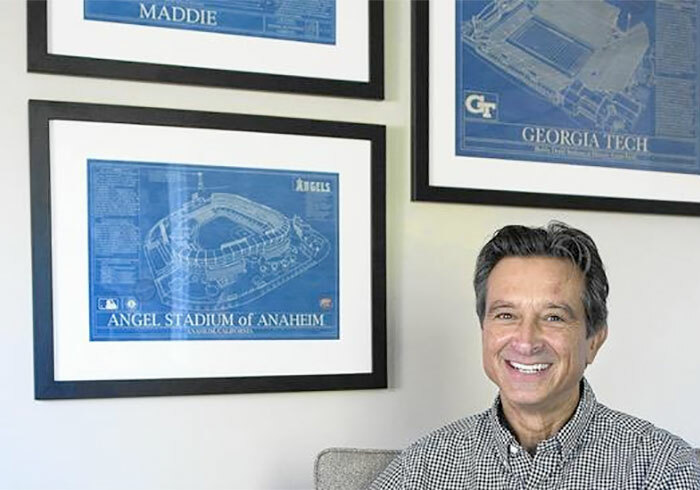 It’s a win-win for you and your favorite school. 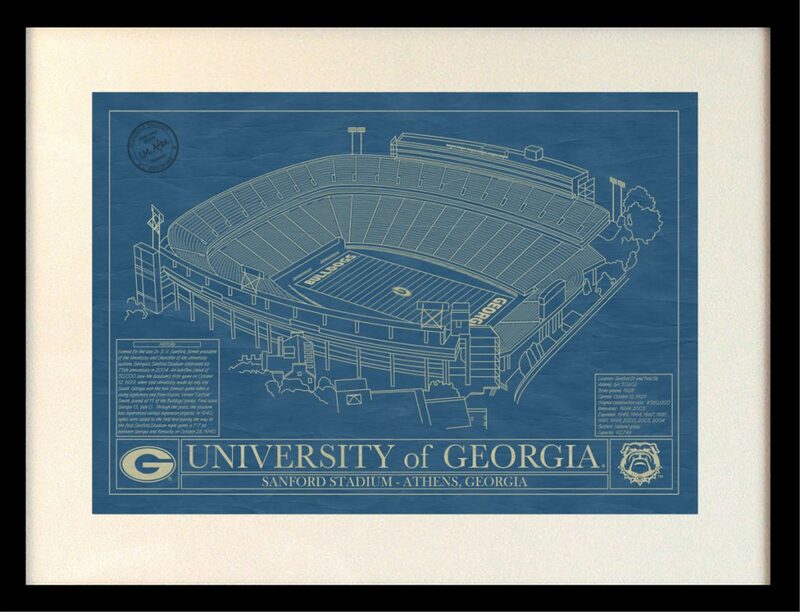 Standard Print is 13" x 19"
Large Print is 17" x 25"